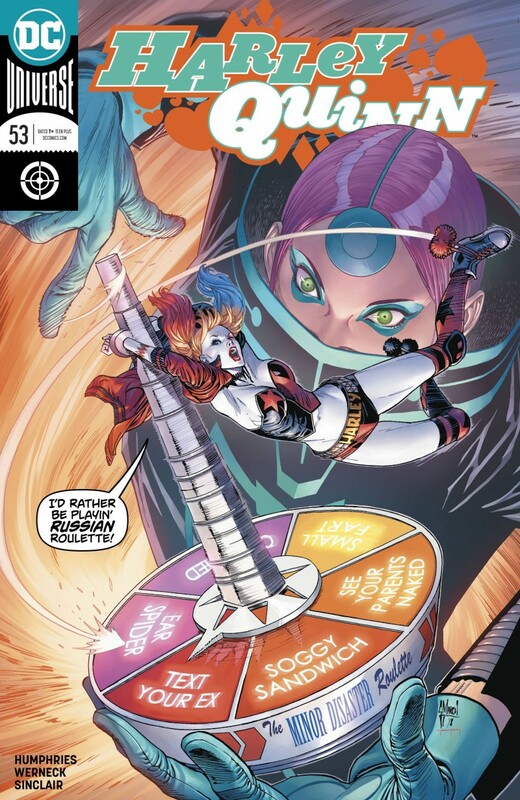 Harley and failed Female Fury Petite Tina go road-tripping! With their lives a roaring dumpster fire, Harley and Tina decide to get out of town for a mini-vacay, and wind up driving each other crazy instead. An unplanned detour leads them to run afoul of a new baddie called Minor Disaster, whose so-called ‘Disaster Dial’ only causes small calamities such as texting your ex and pooping your pants. Harley and Tina must now put their differences aside to stop Minor Disaster before she spells disaster for them both!